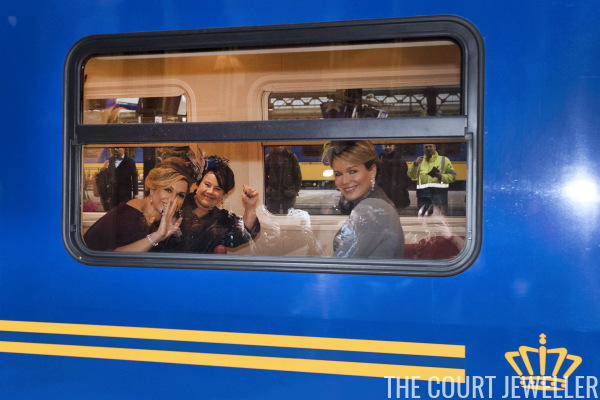 Queen Maxima and Queen Mathilde are in Utrecht today for the final day of the Belgian state visit to the Netherlands. We've got plenty of photos of today's daytime jewels later in the post, but let's kick things off with a view of last night's concert jewels. Both queens went all out for the black-tie event, which was held in Amsterdam. 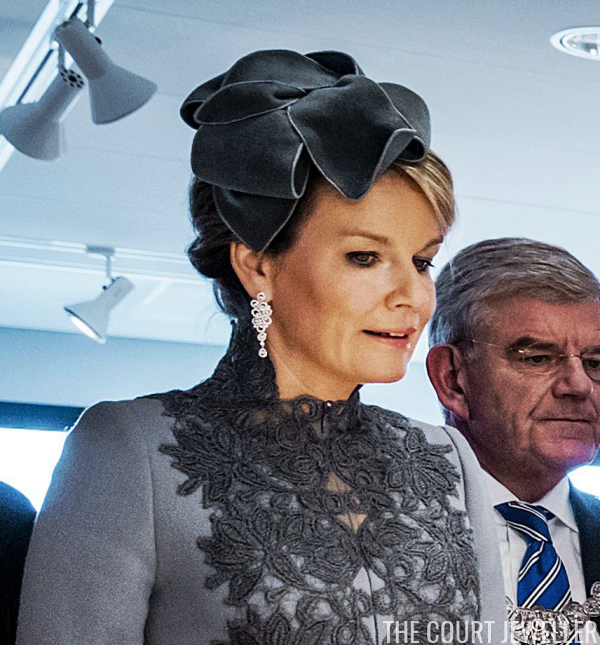 Mathilde wore her lovely diamond fringe earrings with the Brabant Laurel Wreath Tiara, worn in its necklace form. Maxima added her tutti-frutti necklace and emerald drop earrings to her green gown. Both women also wore bracelets: Mathilde selected Queen Fabiola's ruby and diamond bracelet, while Maxima wore the bracelet from her tutti-frutti set. We also see a hint of Mathilde's ruby engagement ring and (I think) the ring from the emerald parure on Maxima's right hand. Princess Beatrix wore pearls for the occasion, including the family's large nineteenth-century pearl and diamond bracelet. Princess Margriet and Princess Laurentien were also both present with their spouses. 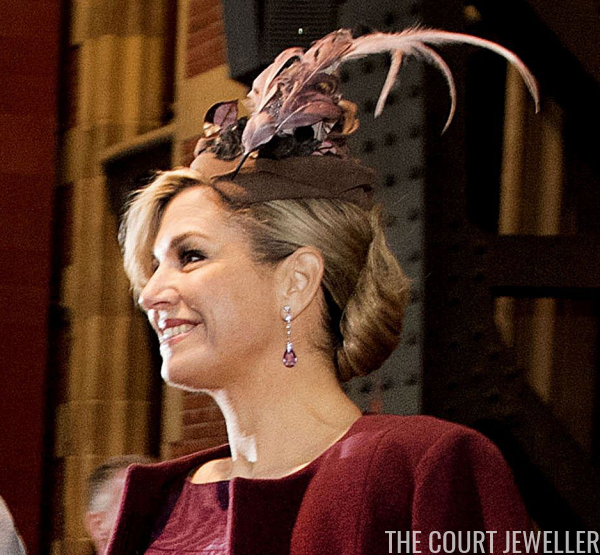 Maxima chose diamond pendant earrings with amethyst drops to coordinate with her ensemble. She also added a pearl bracelet on her right wrist. Here's a better look at both outfits.